Sir Elton Junk performed a special show yesterday in front of the Mauerpark in Berlin. Now you might say “wait a minute, is this supposed to be Elton John? He doesn’t even look like him!”. Sure he does, if you take a closer look, you will see that they both have the same haircut! 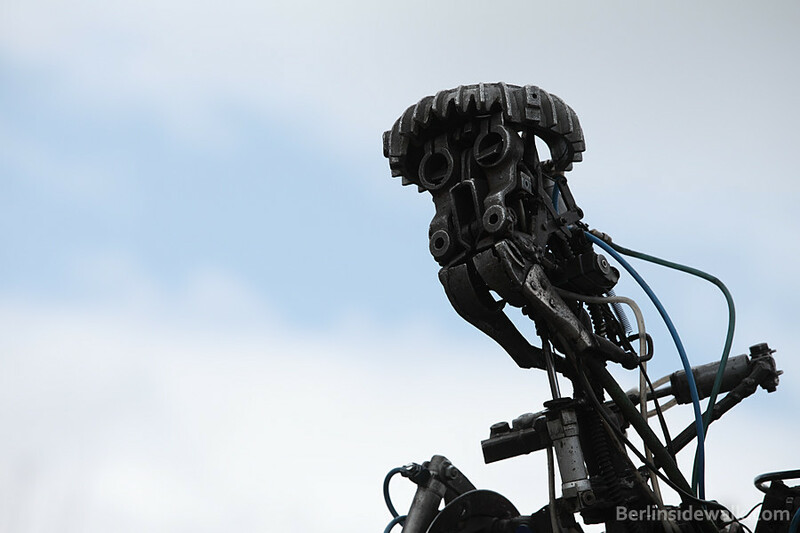 The “robot” is a creation of Kolja Kugler, a native Berlin “Metal”-Artist. One of his most recognized works of this time is “The Lost Tribe of Mig”- project, an immense installation in the city center of a Mig 21 fighter plan flying out of a four-story building. Also a pretty famous, his “Afreakean Bass Player“, a life-sized robot driven by pneumatics which is capable of playing a bass guitar with a real band.